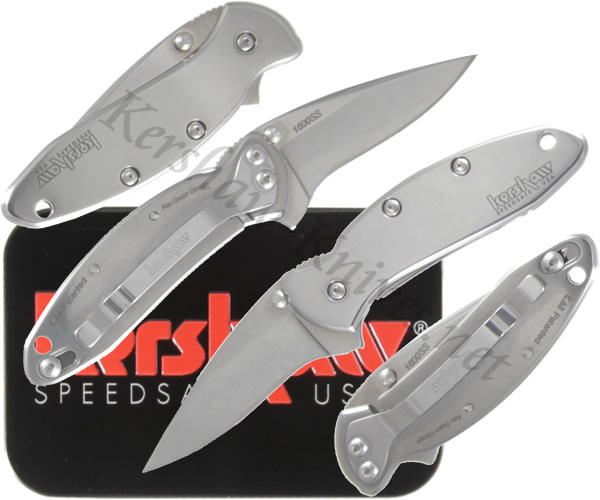 The blade of the Kershaw Chive 1600SS is high carbon 420HC stainless steel that is known for easy sharpening and edge retention capabilities. 410 stainless steel comprises the handle. Both steels have been brought to a high polish for a truly stunning finish. As with all knives in the Chive line, the 1600SS has ambidextrous Speed Safe opening as well as Safety Tip Lock to prevent any accidental deployment of the blade.